We service the entire Lake of the Ozarks area, including the cities of Laurie, Sunrise Beach, Camdenton, Osage Beach, Greenview, Linn Creek, Lake Ozark, Rocky Mount, Eldon, Barnett, Versailles, Gravois Mills & Climax Springs. Reid Pump & Well Drilling Service LLC, designs complete water well systems taking water from the ground to the point of use. We drill wells for commercial and residential water systems. We invite you to browse our pages for information on water well drilling, water pumps and water treatment. 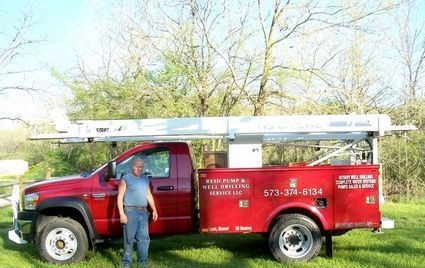 Reid Pump & Well Drilling Service LLC, knows that quality wells begin with the best products. We only install the best quality equipment in our water systems. We also provide warranties for all our water systems and the products we install in them.